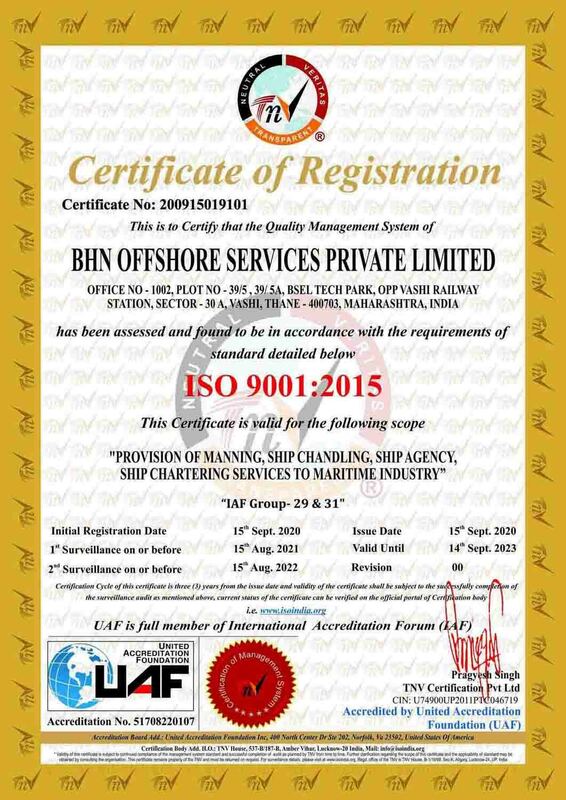 Like other services BHN Group, the shipping agency department has been quality certified and registered as port agents in Mumbai. BHN Group provides ship husbanding for all types of vessels in. Experienced and efficient boarding officers are available 24 hours a day, 7 days a week, to service a vessel's every need. An added benefit is the prompt availability of in-house technical and legal expertise, ready to supplement port agency staff in response to any pressing need. • Weather forecast. We will inform you weather condition every day ahead of ETA.